I like your use of words! 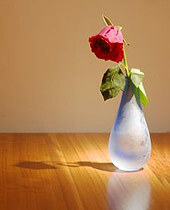 Is the rose symbolic for a woman? Are you describing a hearbreak?